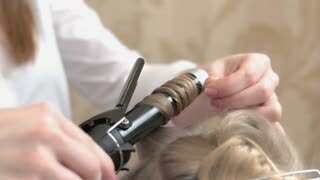 Search Results for "hair styling"
Graceful Young Woman Stacks Hair by Using Hair Styler Hair, Sitting on Chair in White Bedroom. Small dog fluffy white hair styling on table. 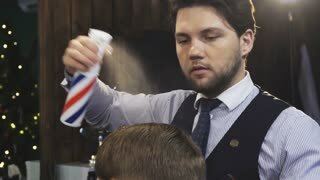 Professional stylist hairdressing purebred adorable white dog standing still on table. 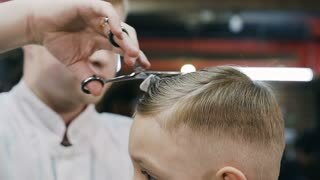 Hairdresser At Work. Hair Styling for Girl Fashion Model. 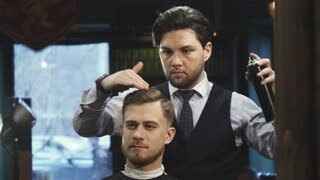 Happy business man with stylish hair. 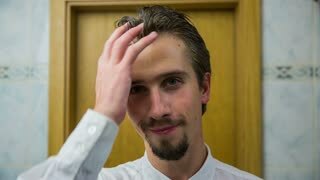 Smiling business man styling gel hair with hand in bathroom, portrait shot. 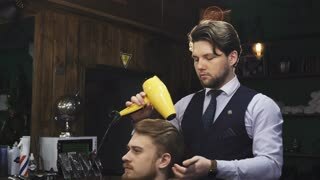 Business man styling hair in bathroom. 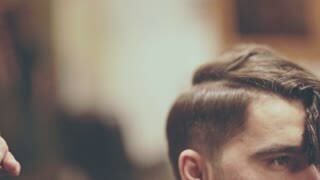 Medium shot of male in bathroom styling own hairstyle with hair gel to look more serious. 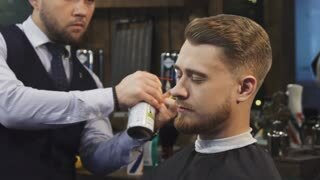 Hair gel styling close up. 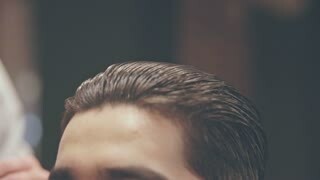 Top of head shot close up of male with hands styling hair with wet gel. 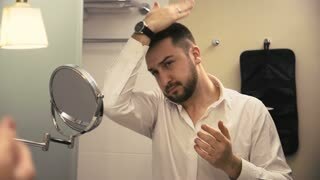 Handsome bearded man in white shirt preparing for meeting and styling hair in front of mirror in hotel bathroom. Buttoning white business shirt in bathroom. 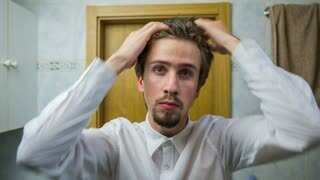 Attractive male with styled hair and beard buttoning last button on shirt in bathroom. 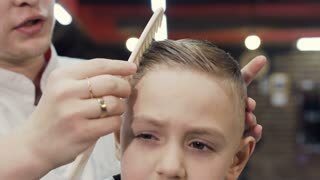 Angry girl when mother styling little girl's hair. Confident young woman in soft bathrobe styling curly hair with hairdryer while posing in front of mirror in hotel bathroom. 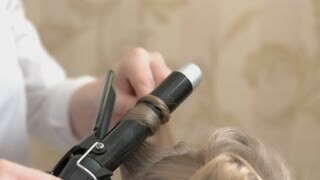 Hands using curling iron. Hair styling tool close up. How to make hair curly. 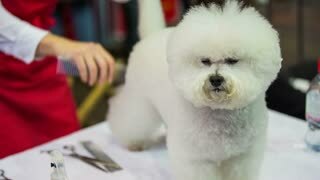 Bichon Frise dog fur styling. 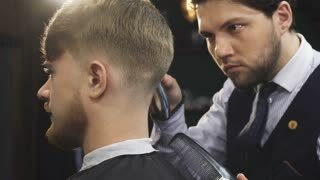 Professional dog hair stylist cutting away purebred fluffy white hair close up. 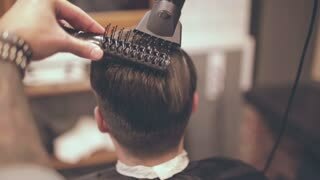 Barber using hair clipper, macro. Work of hairstylist with customer. 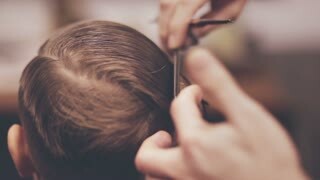 Hair styling tools reviews. Blonde hair and curling iron. Hair styling tool, close up. 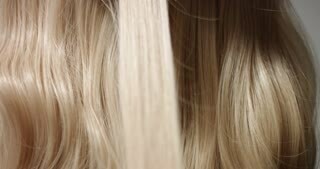 Buy curling iron online.